Watch the Pacquiao vs. Mayweather fight while enjoying a sumptuous buffet of your local favorite cuisines indoor on a curved LED TV ( for Php1,000 only), or poolside on a high-definition projector (for only Php800). 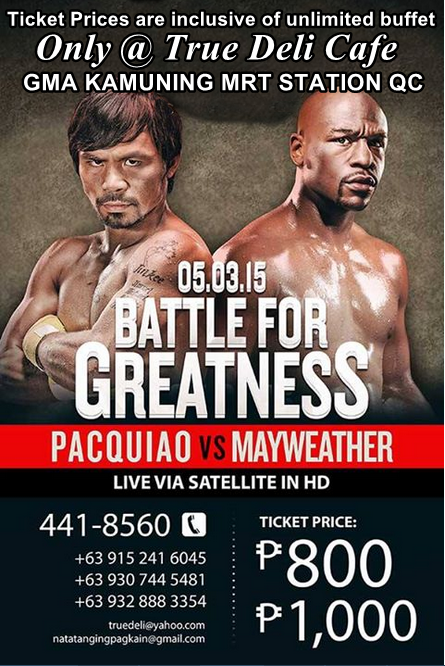 Don't miss your chance to see the fight of the century as it unfolds LIVE on pay-per-view, with brunch buffet beginning at 8:30 in the morning on May 3, 2015 at True Deli Cafe located right at the Upper Ground Floor, Victoria Station 1, GMA-Kamuning, EDSA, Quezon City, Metro Manila‎. True Deli food offerings are uniquely Filipino. 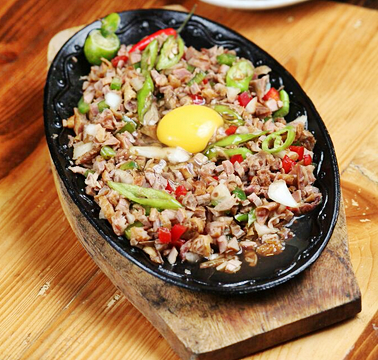 Its goal is to serve different styles of Filipino cooking and provide delicious variations on what Filipinos usually eat. 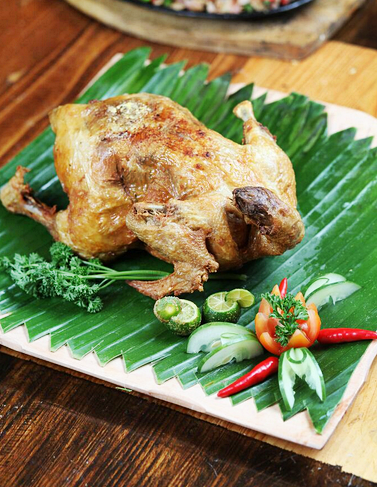 To accomplish this, True Deli offers unique and delicious takes on the usual chicken, pork, duck, goat and other dishes as well. True Deli believes that Filipino products are world-class, that is why it only sells local products in an attempt to elevate the way Filipino consumers see them. True Deli goes beyond promoting culture through food. 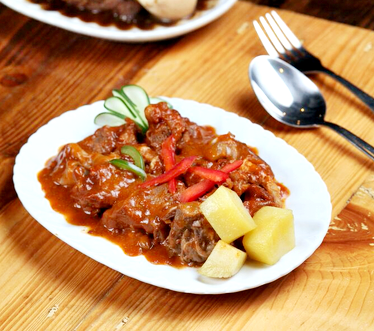 It is promoting Filipino culture through the entire dining experience, including appreciation of the language. Its menu, for example, is written entirely in Filipino, and the servers are trained to cater to the guests by speaking in Filipino. What a better way to show your national pride than by dining on sumptuous regional favorites while watching Manny Pacquiao destroy Floyd Mayweather? Tickets are going fast, so please book now. You may book thru call/text/email: 441-8560, +63 915 241 6045, +63 930 744 5481, +63 932 888 3354, truedeli@yahoo.com, natatangingpagkain@gmail.com. You may also visit the branch to reserve and buy tickets. Battle for greatness on May 3, 2015.